Yesterday I had the privilege of working with 30 wonderful head teachers from Merton, on strengths based leadership and well-being. One of the highlights of the day was listing to the the story told by Celia Dawson, head teacher of Cricket Green http://www.cricketgreen.merton.sch.uk/. Project SEARCH changes the way people think as it challenges ideas about what people with a learning disability can do. It raises expectations of employability and the general public can see people with a learning disability hard at work as part of everyday life. Only 7% of people with learning disabilities nationally are in any form of paid work, compared with 74% of the wider population. However, many of Cricket Green’s trainees are now in meaningful employment within a local hospital and externally. We used the #strengths circle reflection tool which I have developed in the course of my work to identify the many strengths that we felt Celia had used to get this important project off the ground. It was, for me, a humbling and inspiring experience. Thank you Celia! We think of Francis as a saint. But Francis didn’t think of himself that way, I suspect saints never do. Francis saw himself as a failure and this story is the story of one of those failures. It is a story set nearly 800 years ago, in fact it will be 800 years next year. It is the story of how Francis tried and failed to stop a war. The war was the 5th Crusade. It is worth remembering that Christians have not always been people of peace. The 5th crusade was a crusade by Christians, against Jews, Muslims and heretics and it was breaking Francis’ heart. Francis had once been a soldier, he knew what violence was and he knew what it was to be a prisoner of war. But when Francis fell in love with the Risen Christ, he fell out of love with everything that puts barriers between people, the barriers of pride, power and wealth. And in 1219 pride and power and wealth had already killed many people. To try and end the bloodshed, Francis went first to the Christians, begging Cardinal Pelagius, the Christian commander, to end the fighting. Pelagius refused. So then Francis, and his friend Brother Illuminatus, went to the enemy instead, to the Muslim army against whom the Christians were fighting. They went to stop the war and they went to try and change the hearts of the enemy so that they would follow the Risen Christ. And they walked, the two of them, unarmed, through the camps of that enemy. They were captured and they were beaten. They were taken, finally, to the Muslim commander, the leader of their enemy, to Sultan Malik-al-Kamil of Egypt, an enemy leader who had offered a gold piece for the head of every Christian. And when Francis was led into the Sultan’s tent he said ‘May the Lord give you peace’. It is said that the Sultan was startled to hear a greeting so close to the traditional Muslim greeting of peace, Assalam o alaikum (as-saa-laam-muu-ah-lay-kum), Peace be upon you. And in the meeting that followed, I am first going to tell you what Francis DIDN’T DO, because I think it’s important. Francis did not try to deny the truths of the Muslim faith. He did not insult Islam. He did not argue or attempt to convince this enemy unbeliever that he was wrong. What Francis respectfully did was to tell the Sultan the truth of why he was there – that he was there because of the gospel of love, that he was there because of his love for the Risen Christ, that he was there because he had been sent there by the God who IS love, And that he was there because of his love for his enemy – for Sultan Malik – al- Kamil. And the Sultan listened to this gentle, foolish, ridiculous man of God, sitting in his tent, speaking truth about love. And then, in his turn, the Sultan told Francis, truthfully, about the faith and the prayers and the practices that HE loved. And the gentle, foolish ridiculous man of God listened in his turn. Because that is what love does, that is what friendship does, it listens. And then Francis left. And the war continued. And the Sultan continued to be a Muslim. Which meant that Francis had failed. He had failed to stop the war. He had failed to convert the Sultan. But it is said that the Sultan was changed by his encounter with Francis, with the gentle, foolish follower of the Risen Christ. It is said that after meeting Francis he treated Christian prisoners with unusual and unexpected kindness and respect. And perhaps that is as much because of what Francis didn’t do, as what he said. As much because of what Francis WAS – a gentle, foolish, ridiculously loving man of God. And it was not only the Sultan who was changed. Francis loved the fact that the Muslims prayed 5 times a day. So when he went home he asked his brothers and sisters to do the same. And though Francis refused the many rich gifts that the Sultan offered him, because Francis was not terribly interested in stuff, he did accept the gift of a horn used to call Muslims to prayer. And when he got home he used it to call Christians to prayer. Five times a day. And perhaps he listened, too, to the beautiful Islamic tradition of the 99 names of God. Because when he got home he wrote a song, the song we are about to share, called the Praises of God. There are not 99 names in it. But then Francis was a humble man. But, if you count carefully, there are 33 names in it. 33 names of the God Francis loved, the God who sent him not to argue with his enemy but to listen and to speak truth about love and to be changed by his enemy, to become his enemy’s friend. Francis saw himself as a failure. I think that the Sultan and the Risen Christ saw Francis as a friend. I would LOVE to write a similar book that collects together saints from different traditions and, for that matter, secular saints. 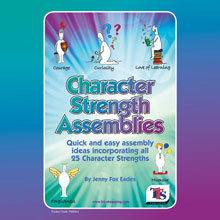 Saints have BIG characters and are great for children to know about and think about. Could anybody, especially those from other faith traditions, help me out here with ideas for who to include and some stories??? 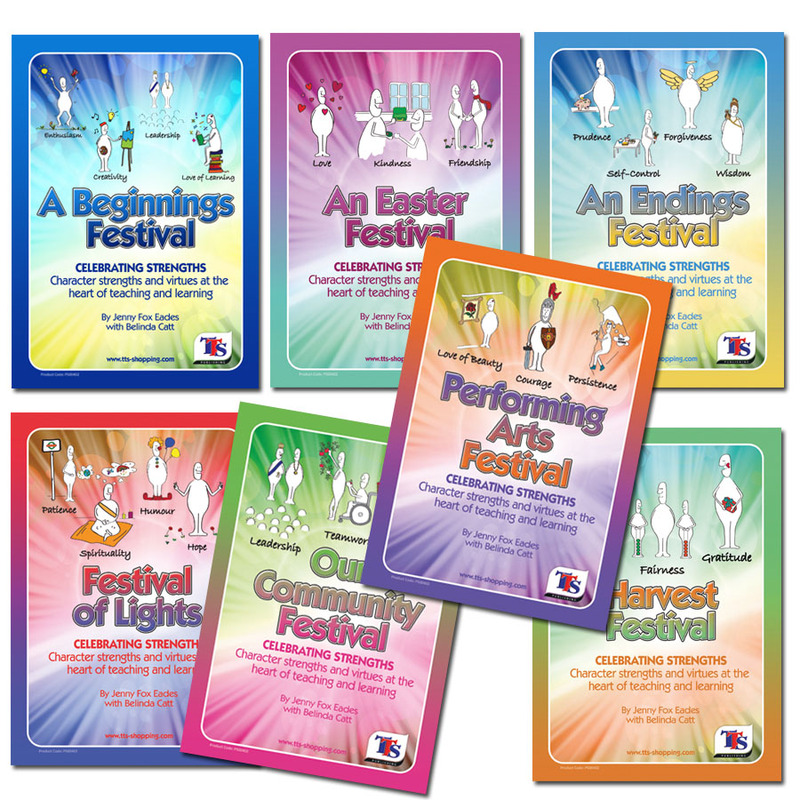 This is the first in a series of blogs and videos which are intended to share with you the fruits of 12 years of working to support teacher and student well-being in education – through a focus on character strengths and virtues, stories and storytelling and the creation and celebration of rhythm and traditions in the classroom. I will be telling my stories and sharing ideas and suggestions. If you enjoy these resources, please let me know! Storytelling is an ancient and highly effective teaching technique and ANYONE can learn to tell stories. The world’s greatest teachers all told stories to convey their essential messages. Storytelling engages the whole self – the emotional as well as the rational self – even the physical self (a good story gives us ‘goose bumps’ or makes us shiver), so stories are far more memorable than a series of statements or a list of facts. Telling stories allows us to make an emotional connection with our audience because storytelling is mind to mind, face to face and heart to heart. Psychologist Dan McAdams says ‘We are all tellers of tales…each of us comes to know who he or she is by creating a heroic story of the self’, (McAdams, 1993, p. 11). Philosopher Alasdair MacIntyre, says that ‘the telling of stories has a key part in educating us into the virtues’ and that without stories, children are ‘unscripted, anxious stutterers in their actions as in their words’ (MacIntyre, 1981, p. 216). Bettelheim regarded fairy tales as essential to children’s healthy emotional development, (Bettelheim, 1976). Storytelling allows a teacher to be playful, to model creativity for their pupils, to nurture them and introduce them to the stories of their own culture and those of others. It is an opportunity for a teacher to show their pupils something of their authentic self. Storytelling is perhaps our oldest art form and has been used in all societies to pass on values and wisdom to the next generation. Children never forget a teacher who tells them stories. The stories you tell children are the most lasting gift you will ever give as a teacher. Storytelling stimulates the imagination more than the reading of books or the watching of films – because it leaves more for the child to fill in. Stories that are told are remembered better than those that are read aloud. This is probably due to a combination of their greater emotional impact and the fact that oral stories tend to be shorter and use strategies to engage memory – rhyme, rhythm and repetition. Storytelling helps children become comfortable with silence and stillness. Telling stories increases your own ability to hold children’s attention and enhances your creativity. Finally, storytelling is immensely enjoyable – for the storyteller! First, tell stories you love. Your enthusiasm and pleasure in the story is mostly what children will remember. The fact that you tell it with passion is much more important than how fluent or skilful you are. So, start either with a favourite story of your own or choose one from my published resources. The ones in my books are already written very simply, and are designed to be told aloud. Read them through a few times then put the book down and practice in a room, all by yourself. Practice IS important. In particular, make sure you know the first and last line by heart. This is important. Then, learn by heart any memorable phrases that are repeated through the story. There are usually a few of these. Then, let the children know you have never told this story, or even told any story before. This gets them on your side. Then, have a go. And remember, Rule 1 of storytelling: Enjoy it. Don’t worry if you miss bits out, slip up on words, get stuck and have to start again. Storytelling is a skill, you get better with practice. If you want to tell a particular story that is not available in the TTS resources, find a few versions in books or on the internet and read them all through. Then put them all away and write your own version as simply as possible. Rule 2 of storytelling: Keep it Simple. A good template for creating a good story to tell aloud is The Three Little Pigs. Simple structure, memorable phrases with alliteration, lots of repetition. Most people could tell this story with no practice at all. It is a really good example of a memorable, oral story. All the stories I write to be told aloud are really The Three Little Pigs in disguise! Rule 3 of storytelling: If you can see it in your imagination, your listeners will see it in theirs. When you tell the story, make sure you are seeing it in your mind’s eye. Picture it as clearly as you can. Rule 4 of storytelling: Tell the Same Story As Often as Possible. Tell the story again as soon as possible, either to your class or to another class. In the Waldorf education system in Scandinavia children hear the same story told every evening, by firelight, throughout the week. This allows them to get to know the story really well and for the teacher to get to know it too, so that it really enters their repertoire. And children enjoy repetition – look at how often they watch a favourite DVD or play a favourite game. Novelty is good – so is repetition and familiarity. Storytelling has an obvious association with literacy and with speaking and listening. However, you can tell stories in any subject discipline. I knew a maths advisor once who used The Three Billy Goats Gruff to great effect to help teach measurement. She took the class outside to take little steps across the ‘bridge’, counting how many were needed to get across; then they took bigger steps and counted how many of those were needed and so on. She used Coronation Street, Brookside and East Enders to teach place value to high school students, too. So, don’t feel limited to literacy lessons to tell stories. And don’t forget that older students like stories, too. My retelling of a traditional Lincolnshire story, Where is the Moon? Werburga was a saint, everybody said so, and they told stories about her kindness. But Werburga said she just looked and listened and noticed the important things in life. Like the animals and birds who lived in and around her cornfield. Werburga smiled when she saw them and when, one day, a sparrow hurt its wing and couldn’t fly, Werburga noticed and picked it up and fed it until its wing was healed and it could fly away. Werburga thought sparrows were important and ought to be noticed. Werburga was a saint, everybody said so, and they told stories about her kindness. But Werburga said she just looked and listened and noticed the important things in life. But when, one evening, she noticed a flock of geese trampling her corn with their great, webbed feet, as they settled down to sleep, she didn’t smile at all. Even saints have their limit and Werburga frowned, and called a neighbour and told him to tell the geese they could sleep in her barn instead. Werburga never said very much. Mostly she looked and listened but people said she was a saint so when she did say something, people paid attention. And the neighbour did as she asked, though he thought the geese would ignore him and only hiss at him and honk at him and shake their great long snake like necks at him. And when the neighbour told the geese to follow him to Werburga’s barn, they did hiss at him and honk at him and shake their great long snake like necks at him, but they followed him all the same. The next morning, Werburga went to the barn and opened the door. She looked and listened as the geese waddled out of the barn hissing and honking and shaking their great long snake like necks and then Werburga noticed something. She noticed that the geese were hissing more sadly than usual. She noticed that their honks were not as loud and fierce as they usually were. She noticed that they were shaking their great long snake like necks from side to side as if they were trying to tell her something. And then she noticed that one of the geese was missing. She called her neighbour and asked him where the missing goose had gone. The neighbour hung his head in shame. He had thought no one would notice if he took one of the geese. He had thought no one would notice if he killed that goose and ate it for his supper. But the geese had noticed, and so had Werburga. Werburga looked and listened and noticed things. Werburga told her neighbour to fetch the bones of the goose he had eaten. And then she prayed, hard, because Werburga thought geese were important and ought to be noticed and God must have thought so too because, as she prayed, the bones started to move and fit together, and as she prayed some more, flesh began to cover the bones and, as she prayed some more, feathers began to sprout out of the flesh and soon there was a live, hissing, honking goose waving its great long snake like neck at her, where before there had only been a pile of bones. And the goose lowered its great long, snake like neck and bowed to Werburga, to thank her for her kindness in noticing that it was missing. And all the other geese did the same. And then they spread their wings and with a last great honk they launched themselves into the air and flew away. So when you see geese flying overhead, and hear their honks filling the air, remember Werburga who looked and listened and noticed the important things in life. 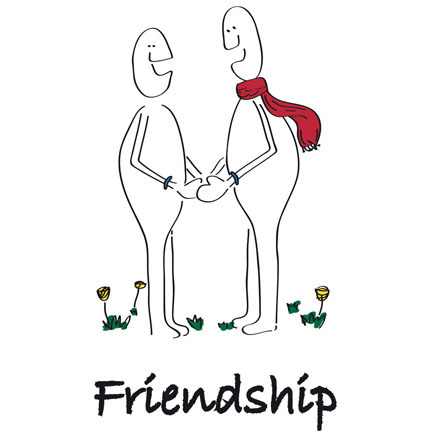 A story for thinking about friendship, kindness, love, spirituality, wisdom…….